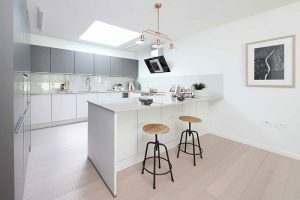 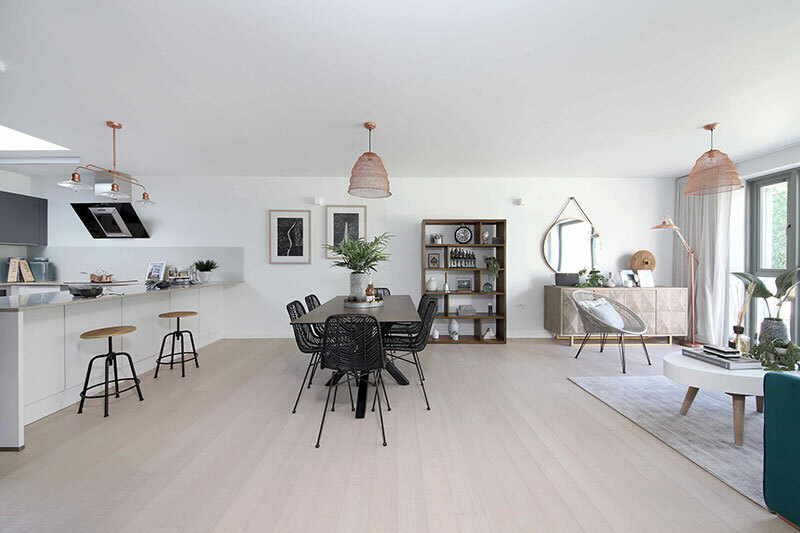 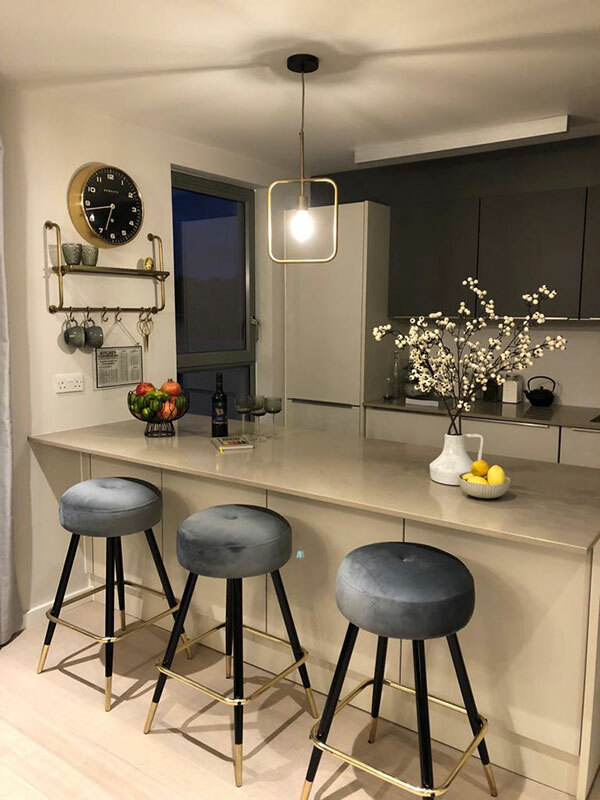 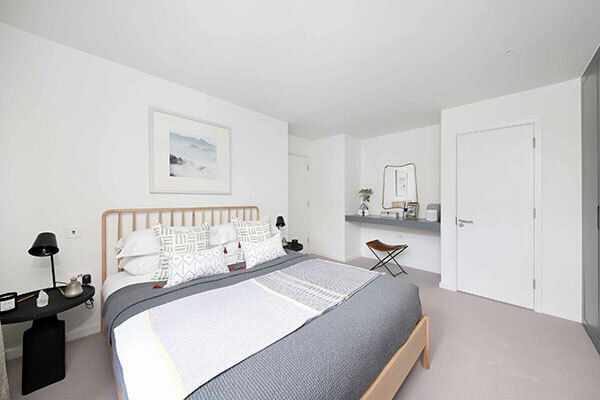 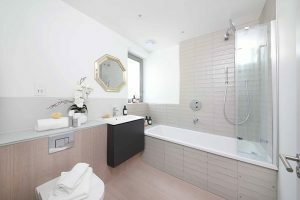 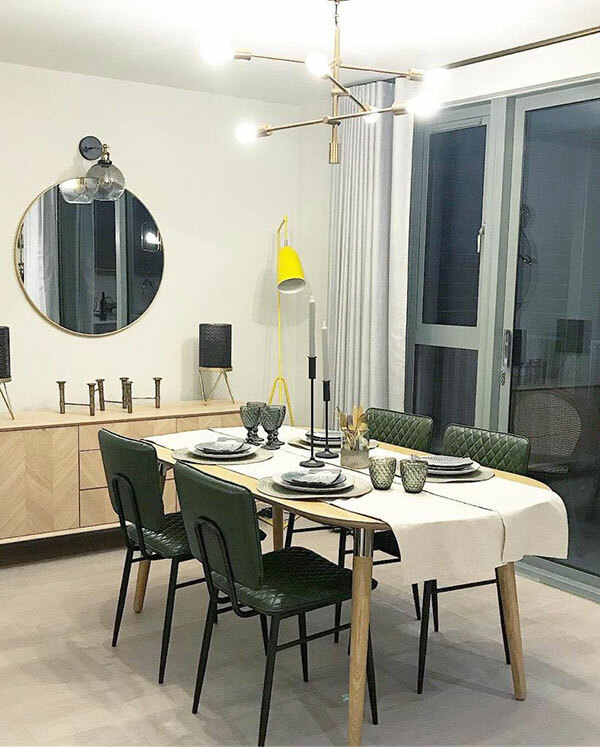 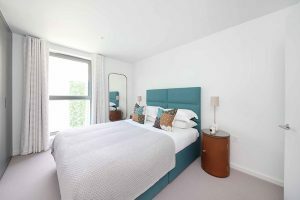 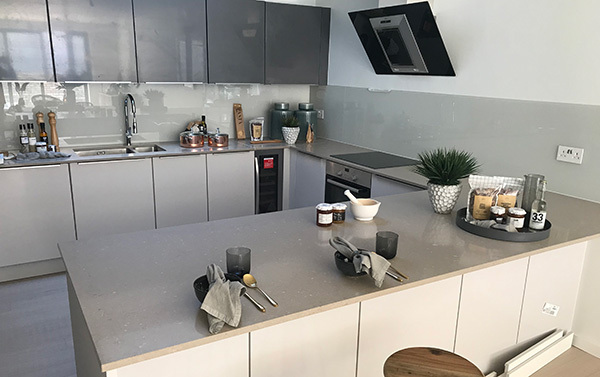 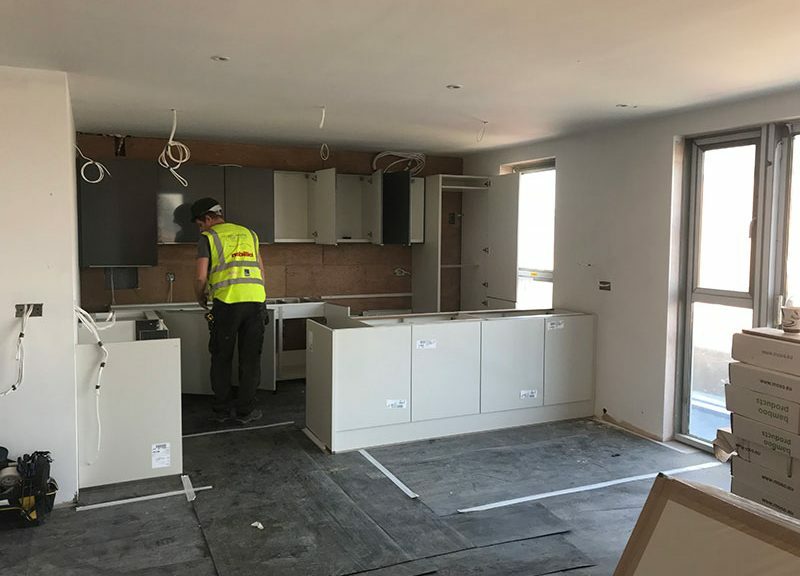 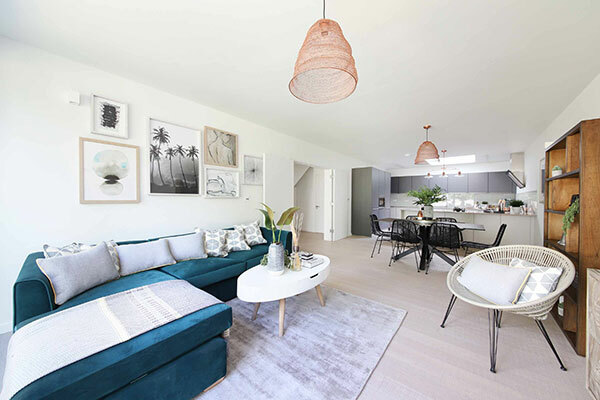 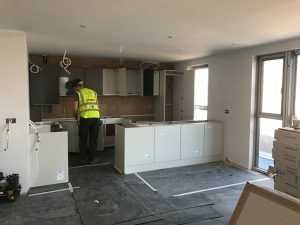 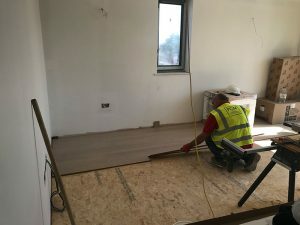 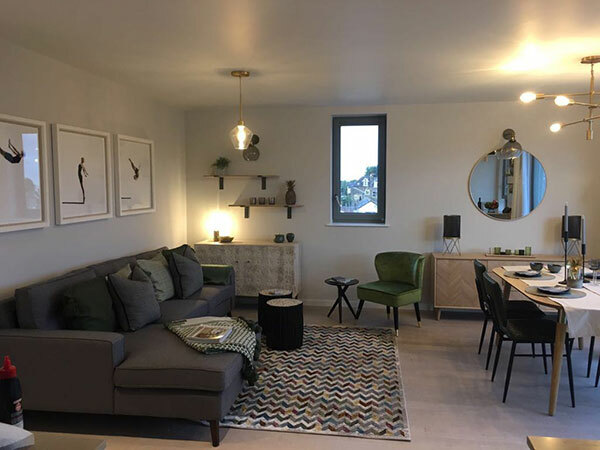 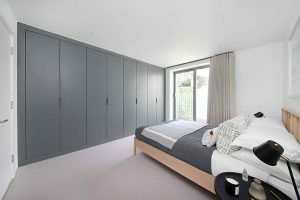 The show apartment is well on the way with a fully integrated Nobilia Kitchen now installed and the engineered wooden flooring has been laid in the living, dinning and kitchen areas. 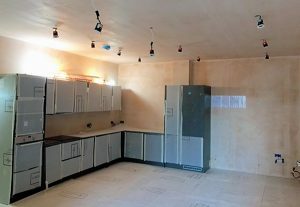 First fix mechanical and electrical is nearing completion. 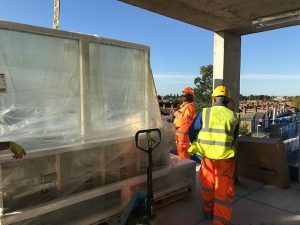 he MVHR ducting is installed throughout the block. 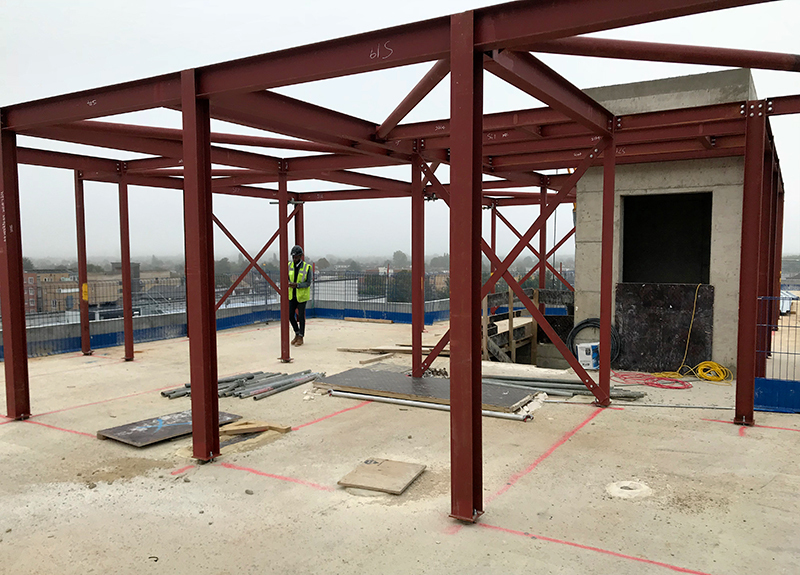 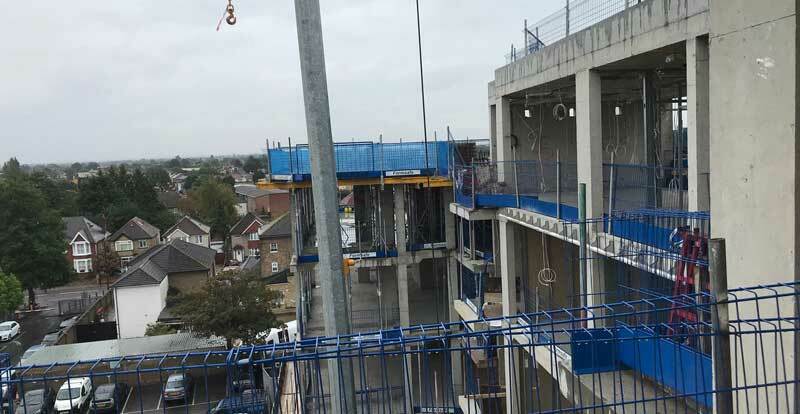 Internal block-work is 90-100% complete on ground, 1st, 2nd & 3rd floor and in progress 4th & 5th floor Metal Framework is complete from Ground to 5th floor except for a few small areas and the scaffold 2nd lift has been erected in all relevant areas. Construction is advancing well. 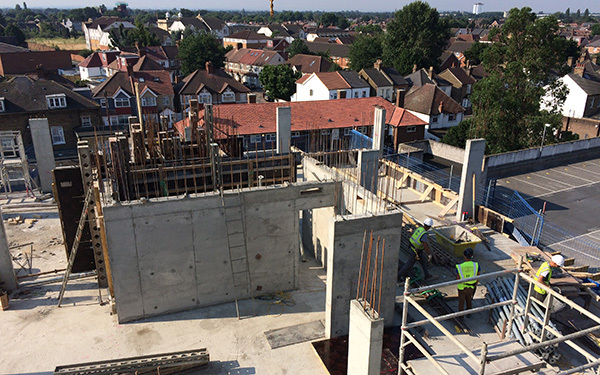 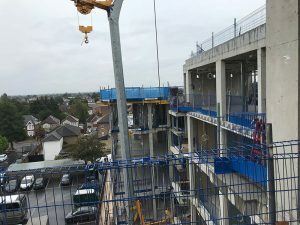 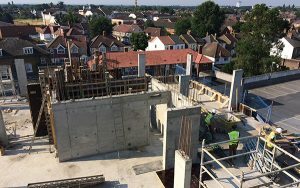 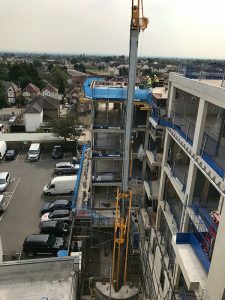 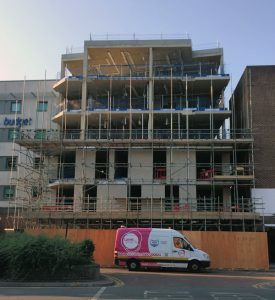 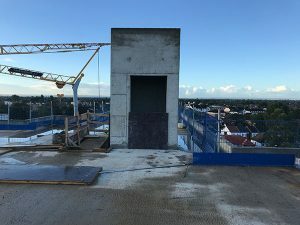 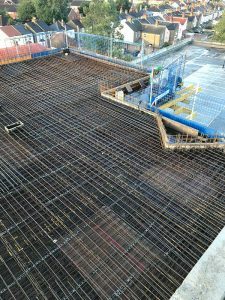 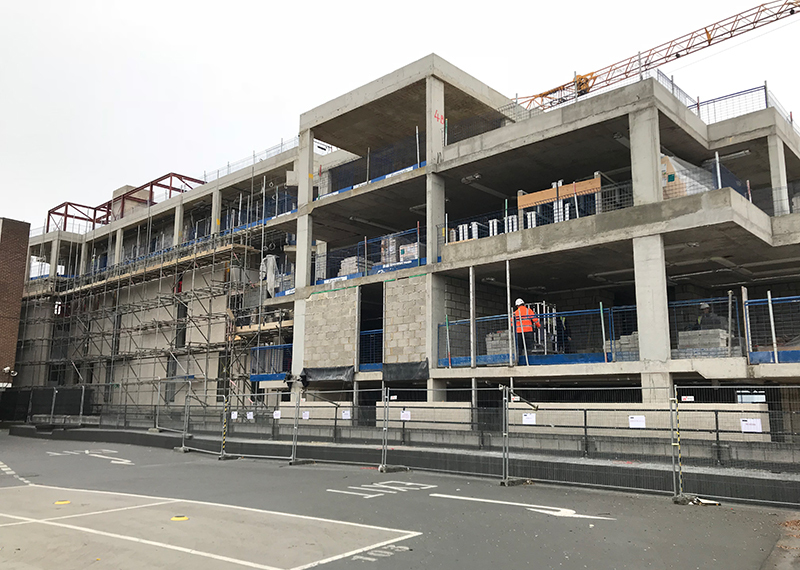 The third-floor slab is finished and the third to fourth floor columns and lift core are complete. 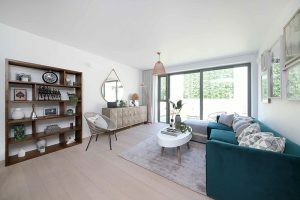 Show House Now Open! 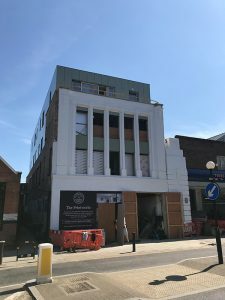 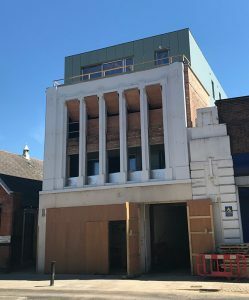 Scaffolding dismantled and the retained 1920’s façade and extended new build is now visible creating a distinct street scene. 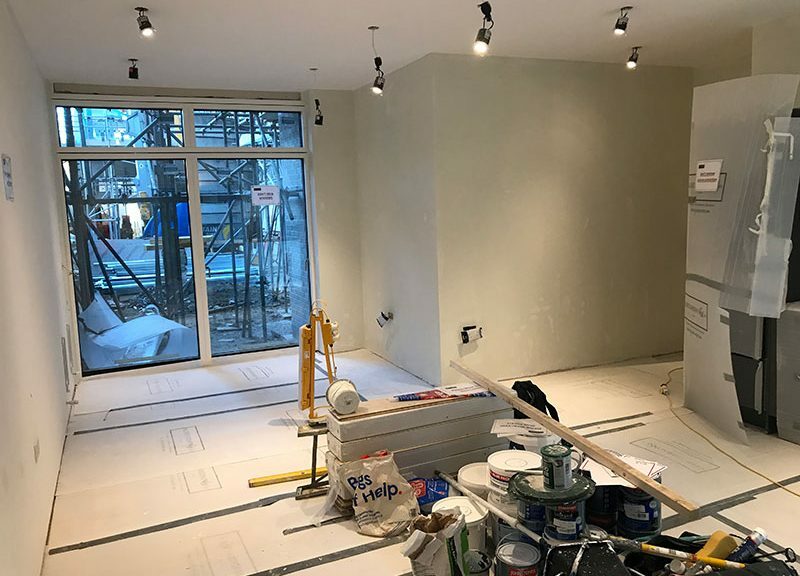 Fit out continues within the apartments with the staircase construction, underfloor heating, M&E and plastering being completed. 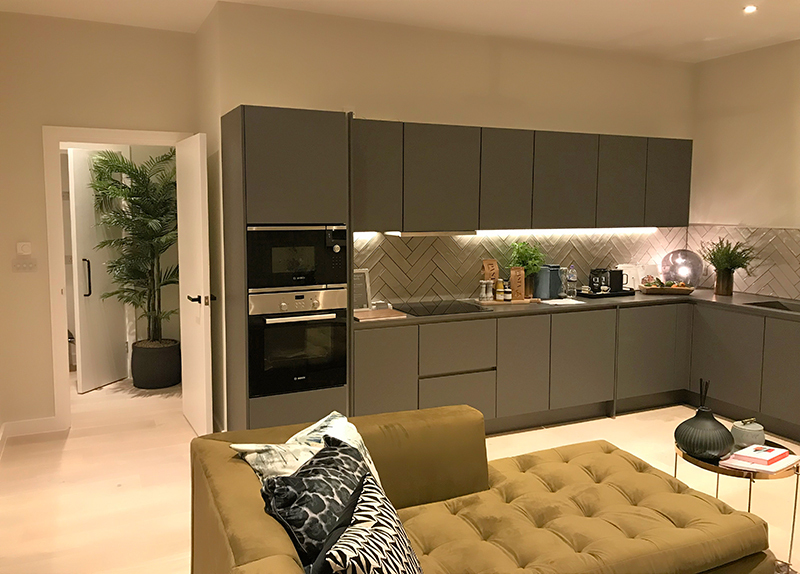 The final finishes including the artisan tiles, bamboo flooring together with the Nobilia kitchens and furnishings bring the design to life. 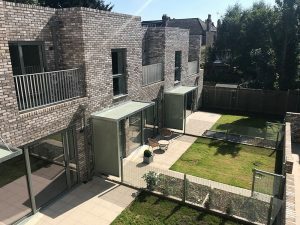 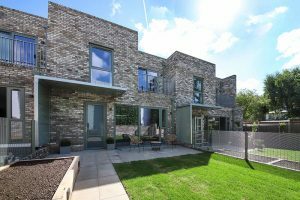 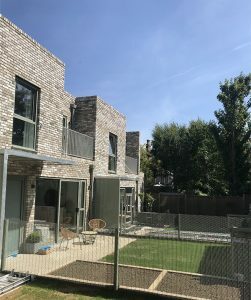 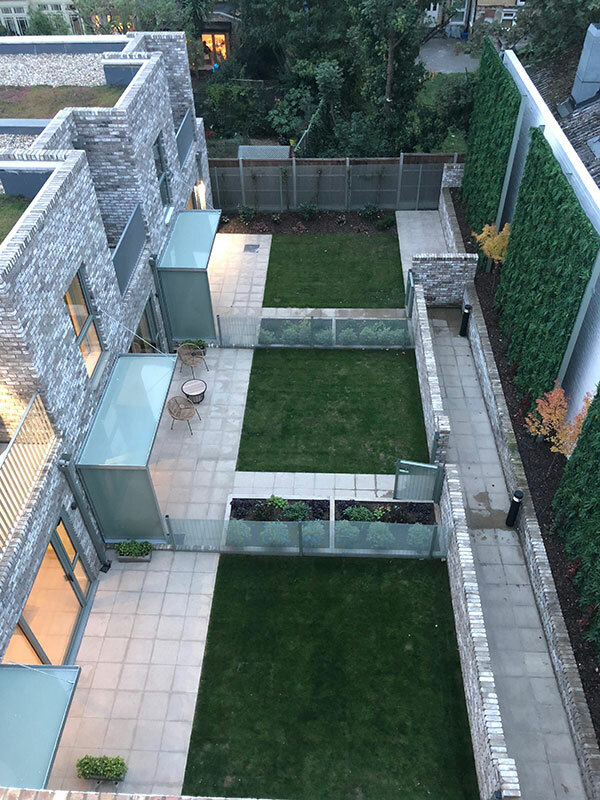 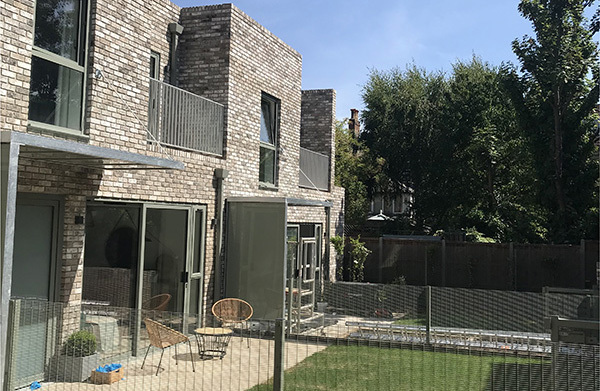 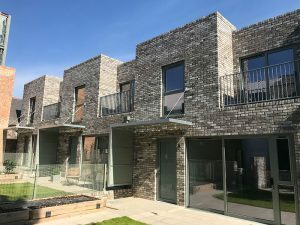 The landscaping continues with low level brickwork in the same style as the mews houses to create a separation within the gardens and continues the character of the design. 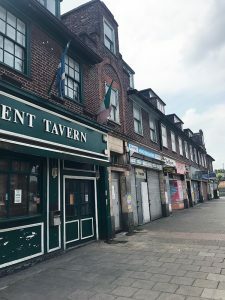 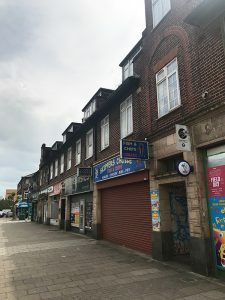 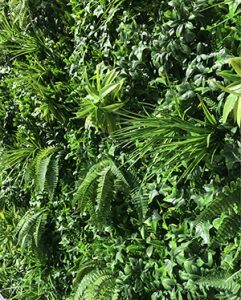 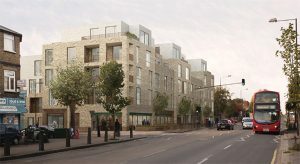 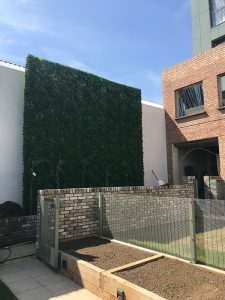 The construction for planters are starting and the erection of a green wall below will create a garden sanctuary outlook for the houses and rear apartments.